Gulf of Mexico: A boat sits anchored in a waterway in the Atchafalaya river delta on Atchafalaya Bay in St. Mary Parish, Louisiana, July 28. 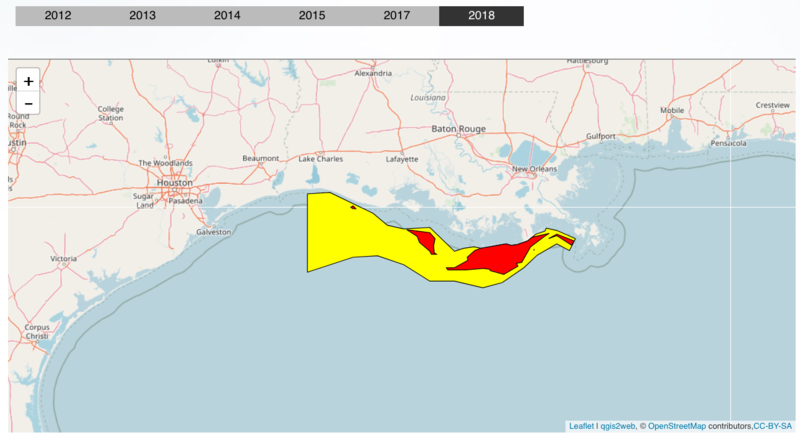 The annual Gulf of Mexico "dead zone" – a low-oxygen region of seawater that appears each spring and summer and either snuffs marine life or sends it fleeing – is one of the largest on record this year. That’s the assessment of a team of scientists who on Monday wrapped up a cruise to take the dead zone’s measure. This year it’s roughly the size of Massachusetts and stretches from off of Galveston, Tex., east to the Mississippi’s "bird’s foot" delta. This year’s is the largest oxygen-deprived area seen off of the Texas coast since she and her team began conducting the surveys in 1985, she says. Indeed, the dead zone’s "total area probably would have been the largest if we had had enough time to completely map the western part." The mapping cruise left Cocodrie, La., on July 24 – the departure delayed a day because of high seas kicked up by tropical depression Bonnie. Once these nutrients hit the sea, they represent an all-you-can-eat buffet for plant-like phytoplankton in the Gulf. Phytoplankton that survive grazing from other marine creatures die and sink. They decompose, as does the waste from the organisms that grazed on them. Bacteria decompose the organic material, sapping the water’s oxygen in the process. Fish in the water column and bottom dwellers that can flee the zone do so. Organisms that can’t avoid the zone suffocate. 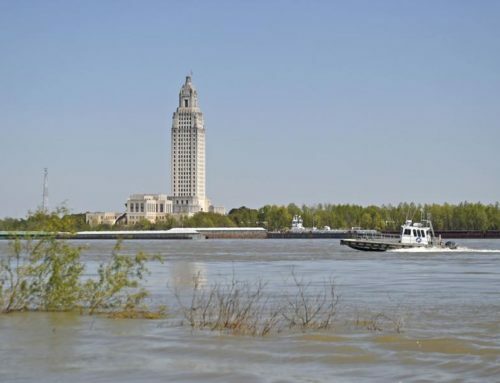 Aside from its size, this year’s dead zone is notable for its patchiness, Rabalais explains. Usually, the zone is a continuous expanse of low-oxygen water. But hurricane Alex and tropical depression Bonnie stirred the waters enough to temporarily increase oxygen concentrations in some areas, only to have them fall again once the storms passed. 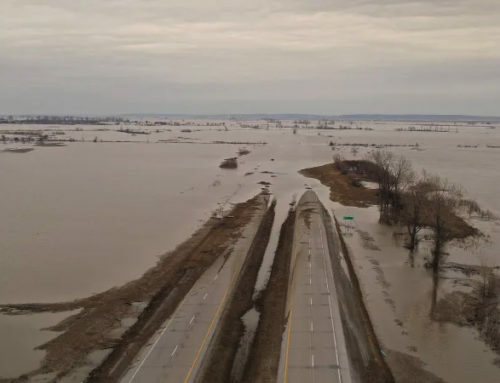 The unusual westward expanse of the zone is likely due to a higher-than-normal discharge from the Mississippi, combined with westward-flowing coastal currents that so far have failed to perform their summertime U-turn. 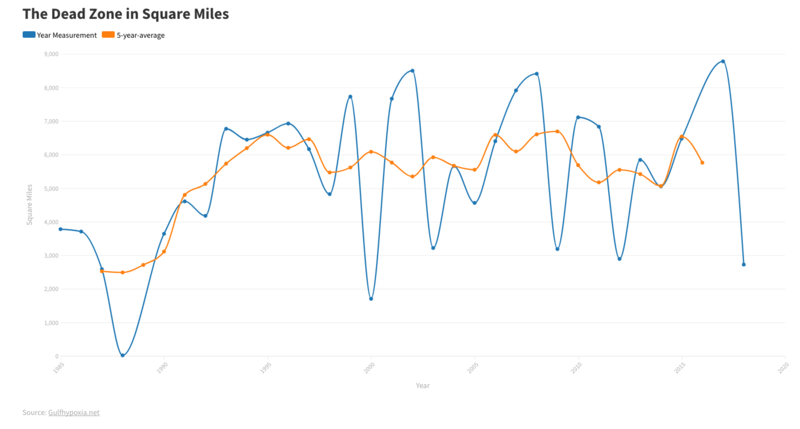 In a typical summer, this westward flow reverses, Rabalais explains in an email exchange. 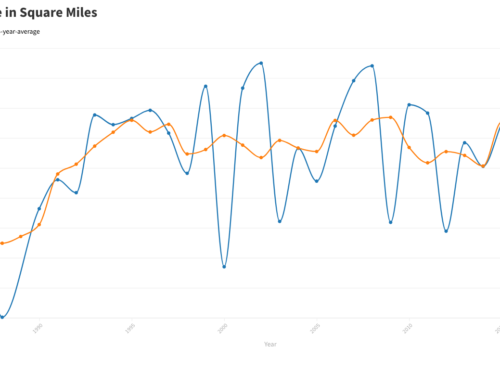 But this year the conditions triggering that reversal either are late or are weaker than usual. 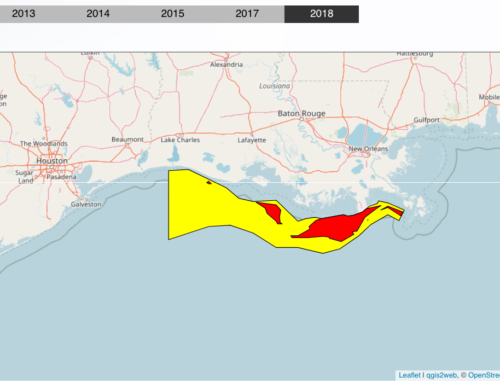 At this point, if the Gulf oil blow-out is having an effect on the dead zone, it’s too small to detect, the researchers say. Given the Mississippi’s high flow rates, as well as early-season forecasts for the dead zone’s size, the zone the scientists have mapped can be explained solely by phytoplankton feeding at the Mississippi’s trough. The dead zone’s size reinforces the need to reduce nutrients flowing down the river, conservation specialists say. 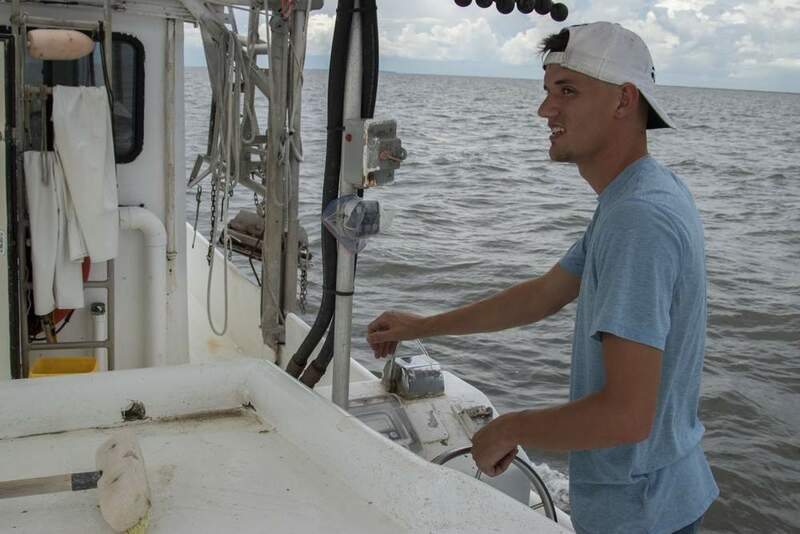 A 13-year-old federal-state task force has established a target of reducing the dead zone to less than 1,900 square miles by 2015. But when this year’s dead zone is factored in, the average size for the last five years is some 2,000 square miles larger than the long-term average of about 5,400 square miles – far from the goal. Researchers have been looking at several ways to reduce the amount of nitrogen and phosphorus – prime feedstock for phytoplankton – draining from farmland in the Mississippi’s expansive watershed. Changes in fertilizer application and tweaks to under-field drainage systems show the most immediate promise, according to Craig Cox, a former acting deputy under-secretary for natural resources and the environment at the US Department of Agriculture, and now senior vice president for the Washington, D.C.-based Environmental Working Group. Corn growers tend to lay down a large application of fertilizer in the fall, he says. This leaves it in the fields for snow melt and spring rains to flush into waterways the following year. Researchers have found that applying the fertilizer when the plant actually begins to grow reduces the nutrients in run-off, since much of the nitrogen and phosphorus are immediately taken up by the plants. In addition, many farmers have converted low-lying land with poor drainage into tillable fields by laying perforated drain pipes below ground. These pipes siphon excess water and send it into nearby streams or rivers. That water, however, is also bearing nutrients leading to the phytoplankton blooms. It enters waterways without having been filtered first by wetlands. Altering the plumbing underneath the fields to send run-off through wetlands first can strip as much as 80 to 90 percent of the water’s nitrogen load before it reaches a nearby waterway, Mr. Cox explains. "It’s not a technical problem we face," he says, but rather wider use of the approaches known to work. Efforts to expand the use of these and other approaches appear to be in the offing. 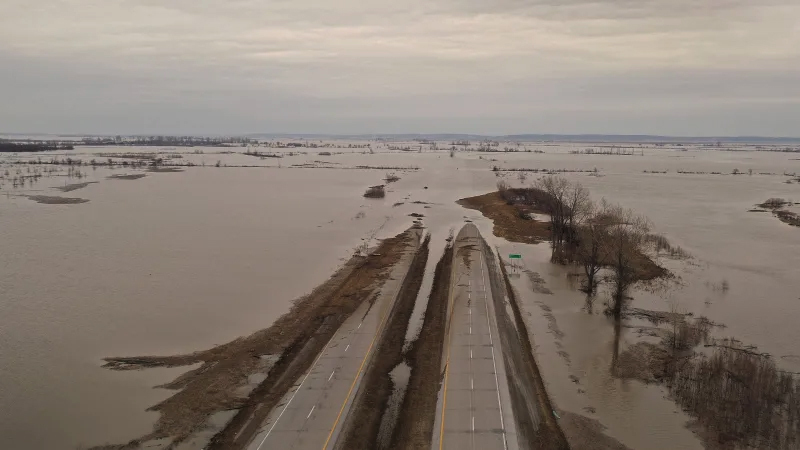 Earlier this year, he says, the USDA announced its Mississippi River Basin Initiative – a roughly $80 million program to target selected watersheds for nutrient-reduction efforts. These watersheds "are disproportionately responsible for nutrient pollution" in the region, Cox says. 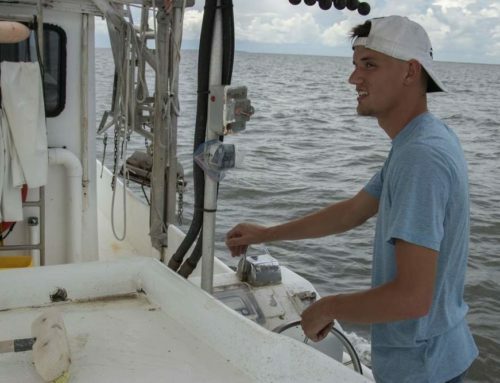 He adds that he hopes this program will be the beginning of a larger effort to curb the compounds responsible for Gulf phytoplanktons’ spring and summer fling.